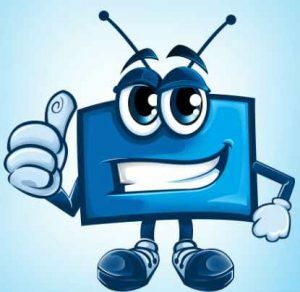 Brettus repository is one of the best Kodi repositories. It is best known for its huge library content and more specifically documentary content. You can find many options for documentaries, but there is one addon which always stands alone and that’s Brettus documentaries. 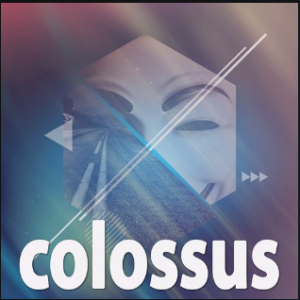 The Brettus Kodi repository has as separate scrapers to search and fetch the streaming links. It provides high-quality stream links. This has a lot of content for kids, not only for kids, to those users who are still kids by heart… However, I love to watch anime and cartoons even now. Here you can find the best evergreen cartoon and TV shows of the early 90’s. Apart from this, it has other categories of contents which are usually found in all repositories. The special thing to be noted about the brettus repository is its old contents. It brings you with a separate addon for each and every content. 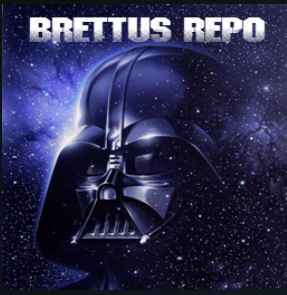 Let us see the how to install the Brettus Kodi Repository. Select the Settings gear icon present at the top left of the home page. Now, double-click on the Add source on the left. Add source file will pop-up, and select none. Enter the path for the source file. Type the repo URL: http://brettus.890m.com and select Ok.
Give a name for the source file, in order to make the identification easier. Go back to the home page and select Add-ons. Select the Package installer icon present at the top left corner. Install from zip file tab will pop-up. Search for the source file name you have entered and select Ok. Wait till the repo file gets downloaded and a pop-up will appear at the top right corner shortly. Click on the Brettus Repository, select your favorite addon and Install it. Brettus Kodi repository provides you access for a wide variety of contents. Starting from Anime, Cartoon, Live TV, 4K movies, TV series, Documentaries, and IPTV. It is an all-in-one power pack repository, which will satisfy all your needs. Although the number of add-ons is less when compared with other repos, it still exists in the best repos list because of its content richness. It consists of around 35+ add-ons. Some of the great and popular add-ons include FTFA, White Devils Streams, StreamZ tv, BAMF, Tiggers, Yu-gi-oh and much more. As we said already, you can find Brettus Documentary here. This addon has an unimaginable huge list of documentaries of all genre. Apart from this, there is a lot to explore in this as it contains separate individual addon for every content. This makes the navigation easier and user-friendly. Install this repo to enjoy the best experience of it. If you have any issues with the installation steps or any feedback, kindly comment below. 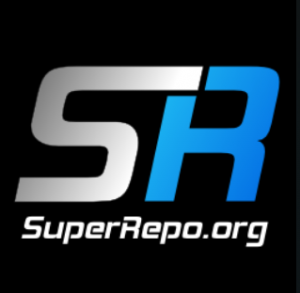 Superrepo is the most famous repository among the Kodi user. It has over 2000 add-ons in the stream of movies, live tv, music, sports, cartoon, anime, web series, etc. Superrepo has lots of sub-repository due to its large collection of add-ons. To install the add-on, we have to install repository followed by the sub-repository. Most of these add-ons are not live now but still superrepo is one the best repository. There is another advantage in installing add-ons by using repo that all the plugins will be installed along with the repo. There are totally 46 sub-repository in the super repository. It has been categorized accordingly. Some of the popular add-ons of the super repository are the exodus, Playon Browser, 1channel, Amazon prime, Elysium. Literally, it will have most of the addons. These addons are further categorized into video addons, program addons, music addons. Picture addons, etc. Superrepo is the largest 3rd party repository. It contains all the required addons in the highly categorized manner. With the help of super repository, we can even install small repository. The Super repository is linked to other 486 repositories. In simple terms super repo is the collection of most of the repository. Step 1: Go to settings followed by the file manager. Step 4: And give a name to the repository for easy identification. Step 5: Navigate to your home screen and click on add-ons. Step 6: Click on the addon browser icon at the top left corner. Step 7: Select install from the zip file. And select the name which you have given. Step 8: And wait for some time till you receive a notification of successful installation. Step 9: Now select install from the repository and select the addon which you want to install. Step 10: wait for some time, you will receive a notification of successful installation of add-ons. Due to its wide collection of the repository. We can directly install other repositories from the superrepo. Step 1: Select package installer icon. Step 2: Select install from repository. Step 3: Select super repository[ALL]. Step 4: Now select ADDON repository, And select the repository which you want to install. And select install. The most common error in superrepo installation is “repository can’t be installed”. To fix this error, check the source URL by entering it in a browser. Sometimes the server may go down. Either it will show the index of the super repo or it will throw “back page not found”. Wait for some time for server fix or try alernate URL to the repository. Sometime error can be caused due to the usage of outdated version. So check for latest version and update your kodi. That’s all about the installation of Special feature and error fixing of the superrepo. Hope you enjoyed it.